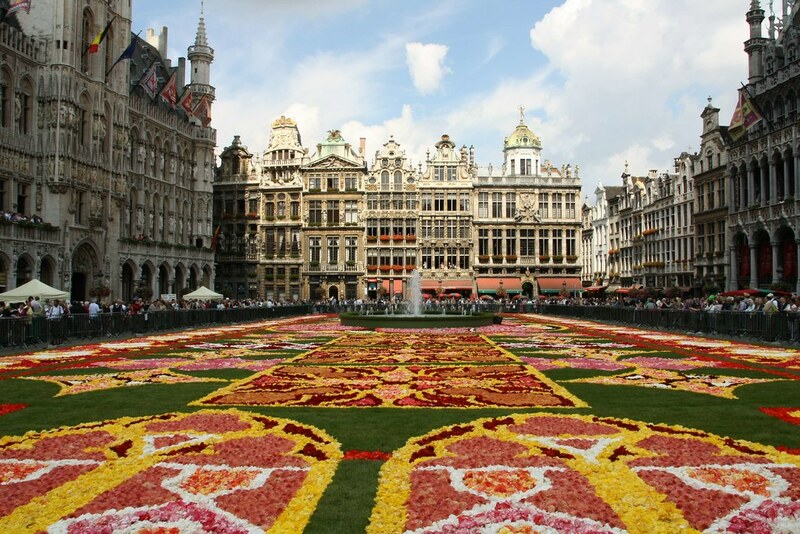 In May 2009, I had made a post entitled "Giant Floral Carpet, Brussels" about the famous biennial floral carpet (Tapis de Fleur) show of Brussels which takes place in August every alternate year. 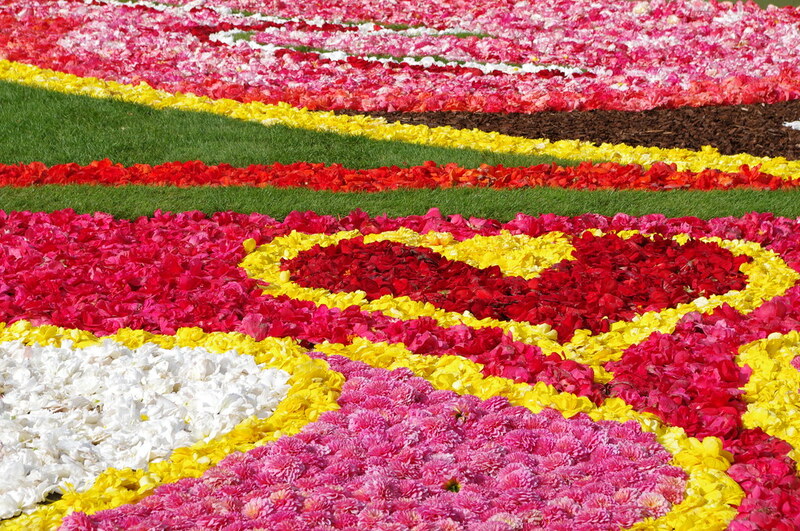 About hundred experienced gardeners create a giant colourful carpet by closely packing together begonia flowers of different colours. About 700,000 flowers are used in the carpet making and every time a different theme is undertaken. The planning work starts a year in advance. The theme for this year's floral carpet show, which was held from August 13-15, 2010, was the Belgian Presidency of the Council of the European Union. This Presidency is for a period of 6 months. Prior to Belgium, Spain had held the Presidency and after 6 months Hungary will take over. To enable better coordination and a continuity in the plans of EU, a joint 18-month programme is prepared. The three successive presidencies (past, present and future) are known as Presidency Trios. Here are few images of this beautiful event; The medium sized (500 pixel) images shown here hardly do any justice to beauty of the carpet. 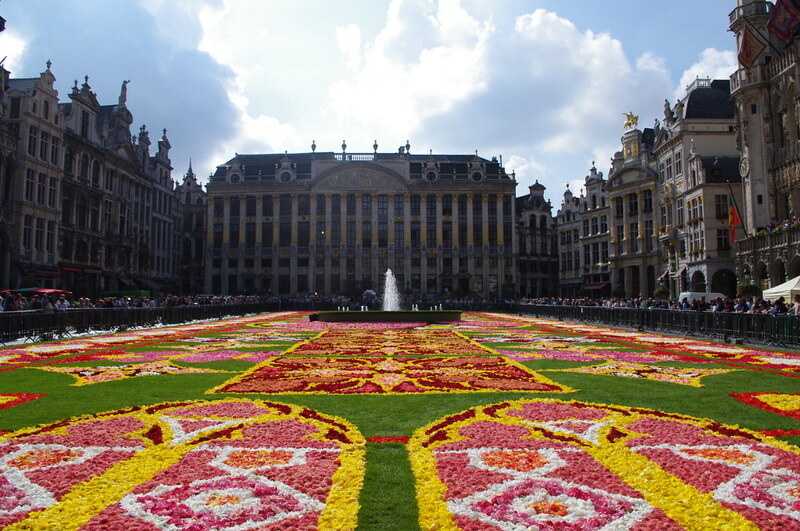 To view the carpet in its full grandeur, please click on the individual image to open its larger sized image in a separate tab/window. Credits: I am thankful to Noisette, Master Guide, GEC Forum, for posting images and other details of this year's floral show in Google Earth Community Forum Post and allowing me to use the copyright images from her collection.